This week’s photo is from last Sunday when my gorgeous friend, Brooke offered to look after Evie while I went to my beloved Body Balance class. Evie and Ted had a lovely play date filled with banana smoothies, walking down to the local cafe and stopping to look at colourful windmills in front yards. 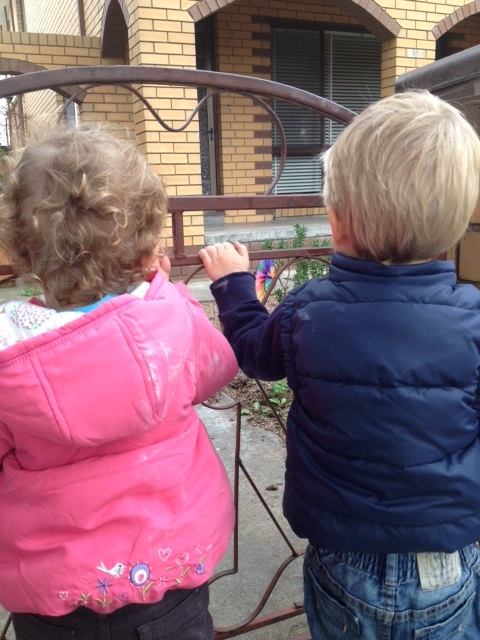 They look fascinated here with Auntie Shan’s colourful windmill – which was a house they passed on the way to the cafe.